Folks, this is getting more than boring. Stanzi has been given chances to make his point. In OTA, in Training Camp, in some series over the first two pre-season games. If you read reports out of camp carefully, reports by guys who have been there, who covered the NFL/Chiefs for decades - noone came away impressed by Stanzi. To the contrary: wild, inconsistent, stupid errors, immature, not up to NFL speed are words I took away from these reports. Guess we'll see a bit of Stanzi in game 4, but no matter when/how much he plays I neither expect any significant change in his performance nor in the perception of some guys around this place. Sorry folks, but this is KC, not Iowa. Finally: I would not be that surprised to see Stanzi NOT end the season on the Chiefs' roster. Crap, now I posted an off-topic comment myself ... well, predicting a Stanzi cut in this thread may provide some relevance to the original topic. Stanzi CUT, WAHHHH!!! You are out of your ... ( you know I'm only continuing this because you complained right? ) ... mind if you think we'd give up on the Amerikraken! I would honestly be shocked if we outright cut him before next season at the earliest. I think he's still worth developing for cheap back-up insurance, as opposed to say Quinn, and especially Cassel. I'd like Chris Cooley if his medical checks out. Might not be able to get him at the price the FO would pay. But I don't trust Boss or Moeaki to stay healthy all season. I think TE is one of our weakest positions. IIRC, Cooley has never really been the "traditional" tight end but has largely served as an H-back. I might be wrong. But either way, are we going to cut Maneri or O'Connell? I am assuming you would prefer to cut O'Connell (who I think could be in the next wave of cuts), and I am not sure I see Cooley being satisfied with being at most a #3 maybe #4 tight end. And I doubt we would keep 5 tight ends. 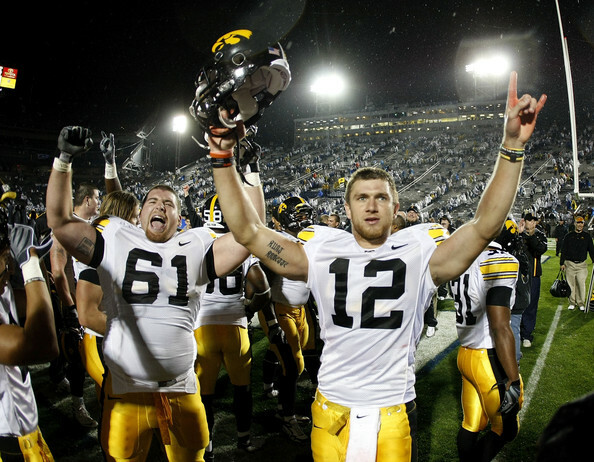 *Could do no better than Tyler Palko (out of league, was he even in a camp?) for #2 in 2011. *gives up on the only QB he's drafted here in his 2nd year after saying he believes he can be a starter some day. Even if Stanzi was a colossal failure, his ego is too big as we've seen with him keeping Cassel around for 4 years. In a similar situation, Arizona didn't even wait two years to give their guy some competition and it didn't stop Seattle from drafting a rookie (that Pioli could've had in the 3rd) to compete with their big FA QB. These teams realize how important QB is and they have been or will be rewarded. I can't say I'd be shocked if Stanzi was cut at some point, but I doubt it. I see his role this year much like last year. He'll stand on the sidelines flipping his Hanson brothers hairdo, and maybe be active for a game or two if Quinn gets a hang-nail. Unless he outright stunned us, I don't think any of us should be hoping for Stanzi to play this year, unless of course you want us near the top of the draft boards. Yeah the only time the words "cut" and "Stanzi" should be in the same sentence this year is with the words "your hair" in between them. 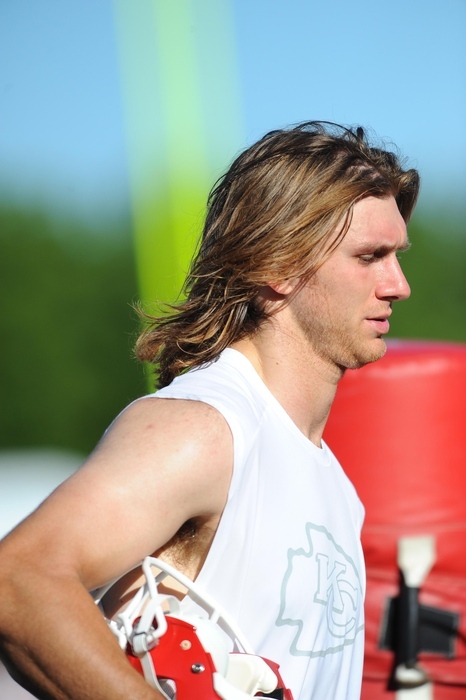 Seriously though, Gabbert grew his hair out towards the end of his time at Mizzou, and with every millimeter it grew, so did his sucktitude. He cuts it off this off-season, and what do you know, he starts playing half way decent. Brady wasn't very good when he had long hair, then he cuts it off, and boom, back to the SB. Stanzi had short hair as a junior when he won the Orange Bowl game, and then started growing it out as a senior and culminated with a let down at the end of the season. He then cut it off around the time of the Senior Bowl, and started playing much better, and did really well at the combine. He's been growing out that mop top ever since, and he's gotten progressively worse as well. I really think I'm on to something here! I really think I'm on something here! Hmm, Bigs you are all about hair being cut today? First I read Breaston and now Stanzi. Very interesting. Is it the root as to why the Packers were an early out in the playoffs? Just to many players with long hair. It's quite possible. I view their SB win with Matthews' stringy golden locks as a fluke. I mean to assert that Stanzi is either A) not ready, B) not very good, C) not the Kracken, or D) not the next Tom Brady is just absurd. The only logical conclusion I can come up with as to why he's not played well during his time here is that his bangs are getting in the way. S Tyler Sash - I thought he was a starter for the Giants, at least wasn't he in the SB? Regardless, big upgrade for us over Washington and could easily play for LEwis IMO. OT Jah Reid - He started for the Ravens all of last year IIRC. He is probably a better fit in a ZBS, or at least I thought so coming out. I am not happy with Mims pass blocking, so he might be worth a shot. DT/DE - Ben Bass from Cowboys - I liked how this guy played at times last year and in the one pre-season game I saw. I thought he was their main depth at DE. He could be for us though possibly. WR Tori Gurley - For anyone that wayched last night, or any of the the Pack's pre-season knows this guy is good, or certainly better then Bellamy or whatever #5-6 WR we'd keep, plus he's a big body that could help replace Bowe next year if he moves on. S Cody Grimm/Larry Asante - Both young guys from the Bucs. I really have no idea how good these guys are or aren't, but I liked Asante as a JAck coming out, and know Grimm played well in the box. I'd probably prefer Hartman, but over Washington I'd probably take one of them. Sash reportedly got a 4 games suspension for taking Adderall, and it says he's on the "Reserve/suspended" list, which I'm guessing is not a real cut. Nevermind. The Patriots part ways with Brian Hoyer. I highly doubt we do anything at the quarterback position. FOXBOROUGH, Mass. -- The New England Patriots on Friday made a couple of surprising cuts, releasing wide receiver Deion Branch and backup quarterback Brian Hoyer, according to sources, as they pare down their roster from 75 to 53 to meet Friday night's deadline. The release of Hoyer makes Ryan Mallett the backup quarterback and signals the team's intention to head into the season with two quarterbacks instead of three. The Patriots last carried just two quarterbacks -- Tom Brady and Hoyer -- in the 2009 and 2010 seasons. The Patriots currently do not have any other quarterbacks in camp, but they will likely consider adding a young signal caller to the practice squad. The 26-year-old Hoyer, who has been with the Patriots since 2009 after signing as an undrafted free agent out of Michigan State, was due to make $1.9 million this season and would have hit free agency at season's end. Hoyer was 13 for 32 for 100 yards, one touchdown and no interceptions in preseason play, while Mallet was 25 of 52 for 260 yards, three touchdowns and one interception. Hoyer played 87 snaps compared to Mallett's 123. Hoyer finishes his Patriots career with 13 regular seasons games played (none of them starts). O.J. Atogwe was reportedly released by the Eagles. Depending on the health of Lewis, Atogwe was a player we brought in when he was released by the Redskins, and maybe he could be worth taking a look at - again, it all depends on the organization's opinion of the younger players and the health of Lewis.